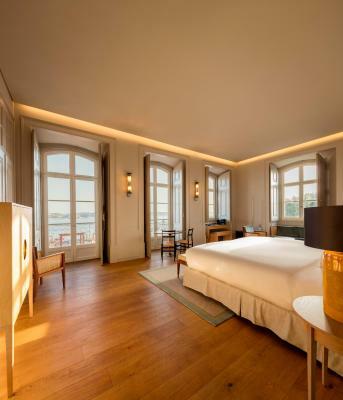 Lock in a great price for Verride Palácio Santa Catarina – rated 8.9 by recent guests! Service and staff were great. Hotel met expectations. It,s a wonderful place .. the big room is so nice . The small room I don’ t like . The Restaurant was exquisite!! 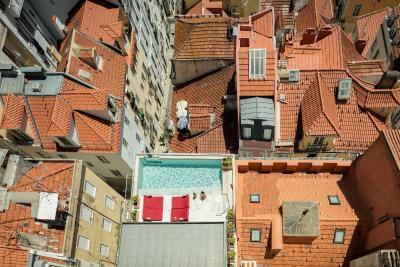 So were the panoramic views from the pool and rooftop! I give this Hotel a five star rating! The location is excellent, great views and easy walking to many areas. 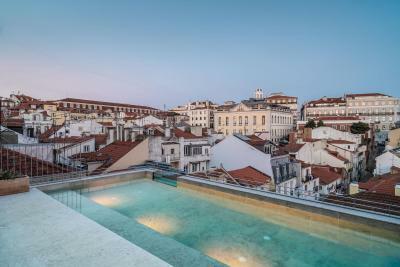 Small hotel but great pool terrace, rooftop bar and excellent restaurants. Staff is very helpful with anything you need. Wonderful hotel, perfect location. The Santa Catarina Palace is very beautiful, the staff is amazing. 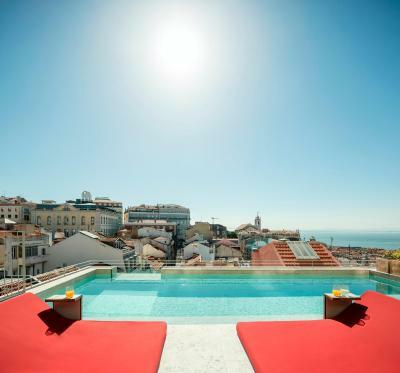 Any doubt the best hotel in Lisbon. 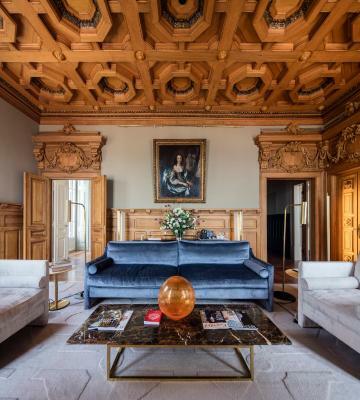 The Queen suite is one of the most incredible rooms that I ‘ve already seen. Worth it! The staff was extremely kind and polite and helpful.. it was a great experience to stay in such a wonderful place full of wonderful people trying to help you.. 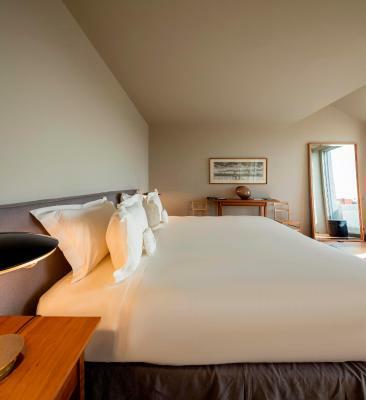 The bed was extremely comfortable, and the room was spacious and bright. The bathroom was also spacious and the shower was perfect. The outdoor terrace breakfast was delicious, and the view was nice. The rooftop bar and 360 degree viewing area above the roof was incredible and a great place to watch a sunset and have a cocktail before dinner out. Finally, the staff was incredibly nice and helpful. They were a bit uncertain of their job because the hotel had only been open for seven days but they were working very hard. The architecture is unbelivable beautiful. 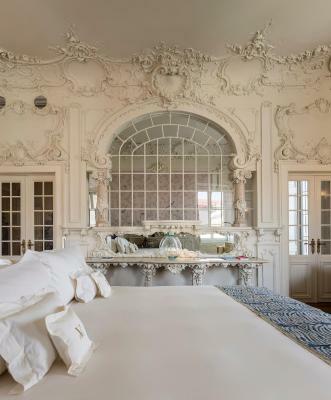 A Palace that turned to a hotel keeping the amazing architecture details with the confort of modern furniture. 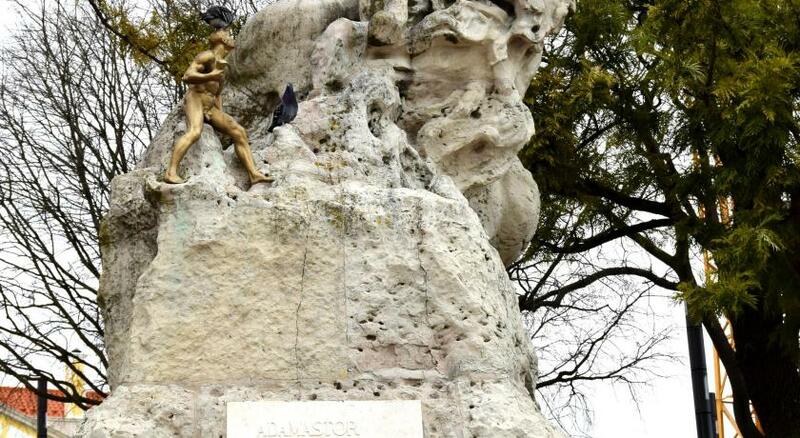 The location is also the best! We stayed at the Premium Suite, a beautiful space with a living room that includes a luxurious bathtub, and a big bedroom with king size bed, along with an en suite bathroom and lavatory. 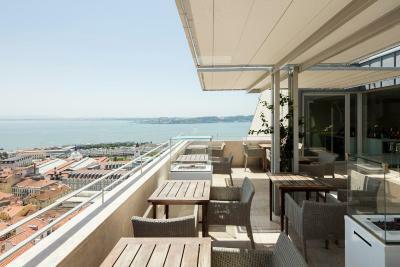 Everything was perfect, the views over the Tagus river were beautiful, and we had breakfast in the room. The staff was very nice, and took care of parking my car. Perfect view and really good vibes, and staff are good. Have great time stay here. 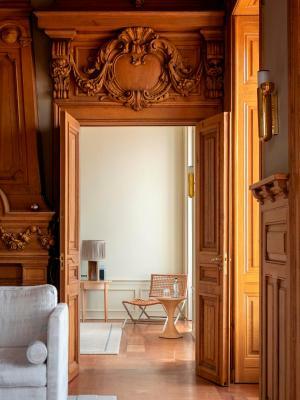 Verride Palácio Santa Catarina This rating is a reflection of how the property compares to the industry standard when it comes to price, facilities and services available. It's based on a self-evaluation by the property. Use this rating to help choose your stay! 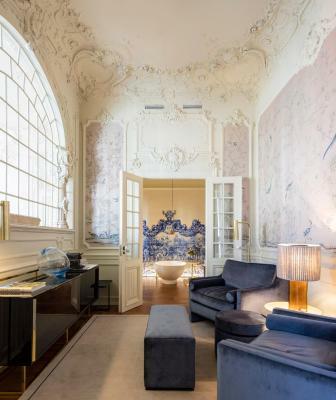 One of our top picks in Lisbon.This luxurious property has a privileged location, in Lisbon's historic center and overlooking the Tagus River. 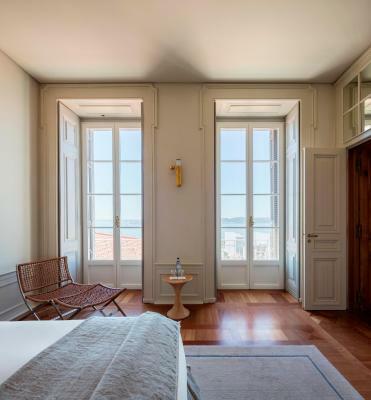 Verride Palácio Santa Catarina consists of stylish rooms and suites, blending vintage details with modern comforts. 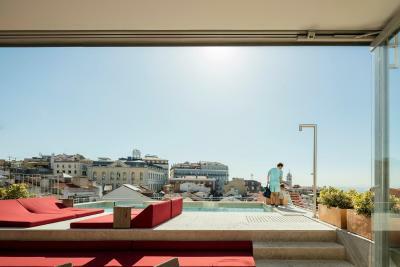 The building's rooftop area features sweeping 360º views over the city. 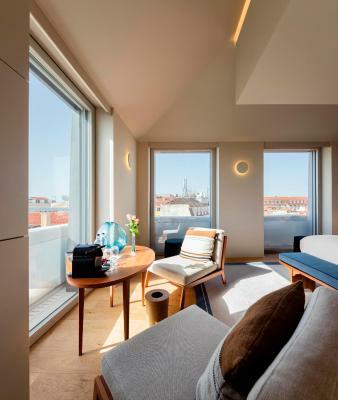 Each room or suite has a distinctive and clean décor and features, with some having balcony views over the Tagus River, while others overlook the traditional Bica neighborhood. With radiant heated floors throughout, the units all have large windows, plenty of natural light and custom furnishings, with a predominance on Portuguese materials. 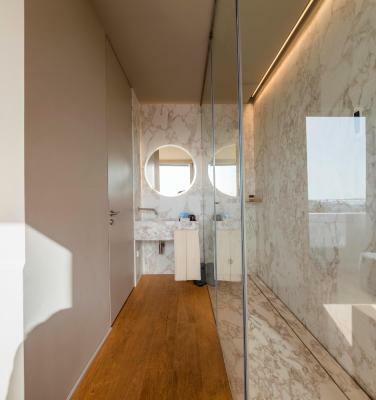 Esop amenities are available in the modern and elegant bathrooms of each unit. Guests may enjoy a customized breakfast in a large table or in the outdoor esplanade overlooking the pool and city or enjoy a meal at the on-site restaurant. 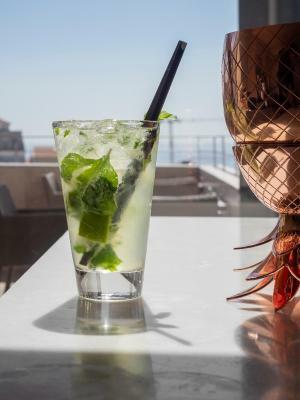 With river and Cristo Rei views, the Suba restaurant provides a prime dining experience, with modern twists on classic Portuguese cuisine. There is also a rooftop bar. 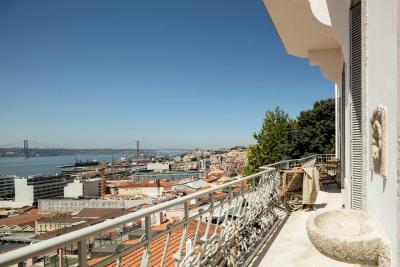 The property is right next to Santa Catarina Belvedere and is just 1,000 feet from Chiado. 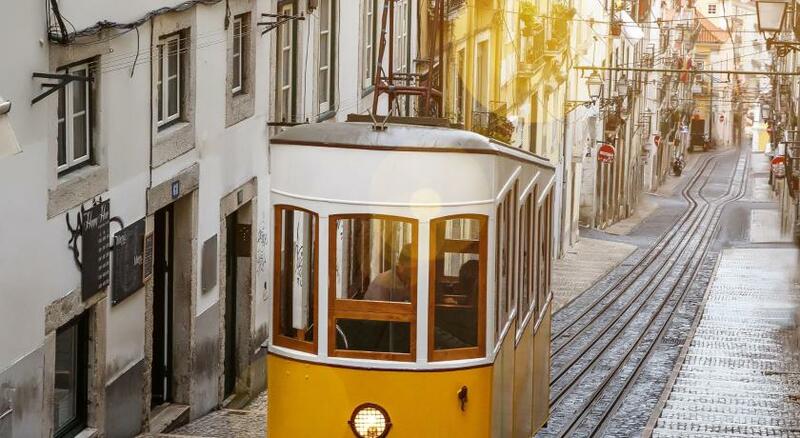 Bairro Alto, one of Lisbon's most hip nightlife spots is within a 3-minute walk. At a 15-minute walk is Commerce Square and the well-known Augusta Street Arch, both next to the riverside. 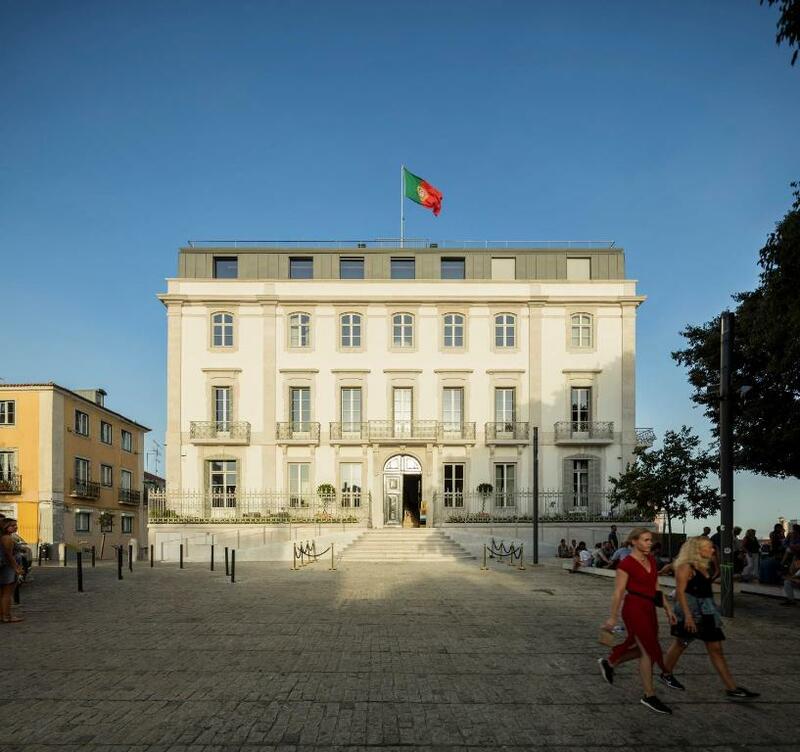 Lisbon's Humberto Delgado International Airport is 5.8 mi from the Verride Palácio Santa Catarina. Airport shuttle services are available, upon previous request. 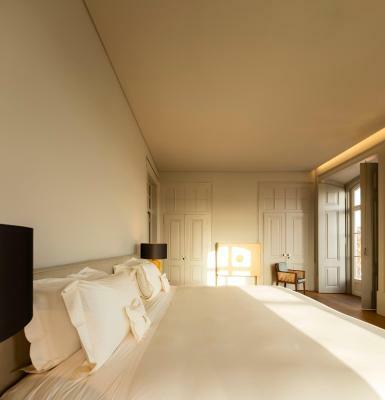 When would you like to stay at Verride Palácio Santa Catarina? This double room features air conditioning, soundproofing and a flat-screen TV. 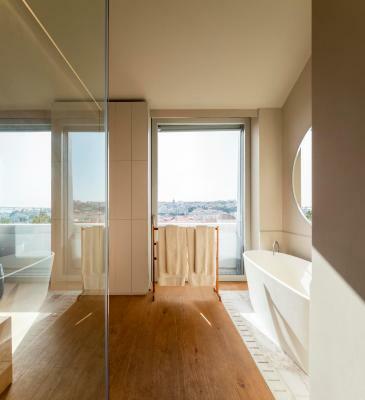 The bathroom includes a bathtub from which guests can privately enjoy views over Lisbon's traditional Bica neighborhood. Bathrobe and slippers are provided. Rooms adapted for guests with reduced mobility do not feature a bathtub. This double room features air conditioning, soundproofing and a flat-screen TV. 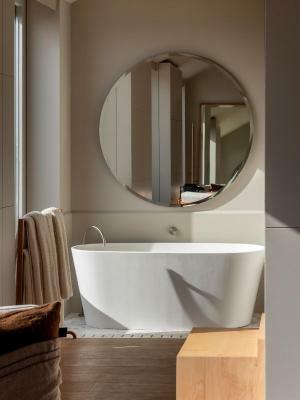 The bathroom includes a bathtub and a shower. A complimentary airport transfer service in a luxury car is provided, upon previous request. 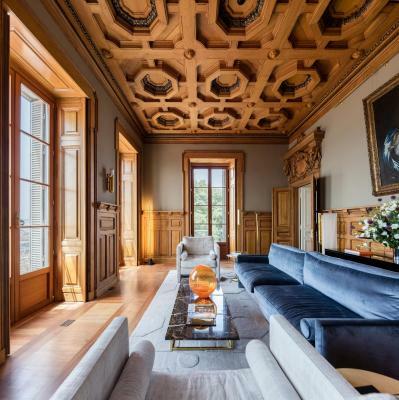 With an average area of 80 m2, this spacious suite has an elegant traditional décor, maintaining several the historic features, like ornate ceiling and marble details. Each includes a private bathroom. 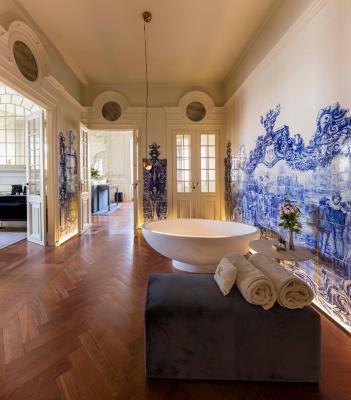 One of these suites has an additional separate room, with a bathtub and traditional Portuguese tiles. This superior double room has plenty of natural light and includes air conditioning. 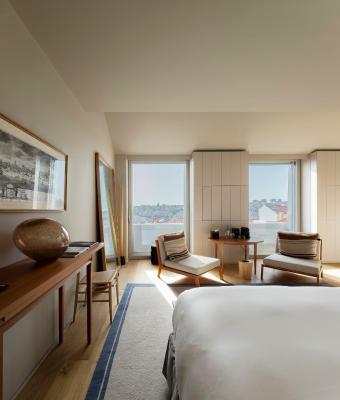 The room has large windows overlooking the Tagus River, as well as a modern bathroom. Bathrobe and slippers are provided. 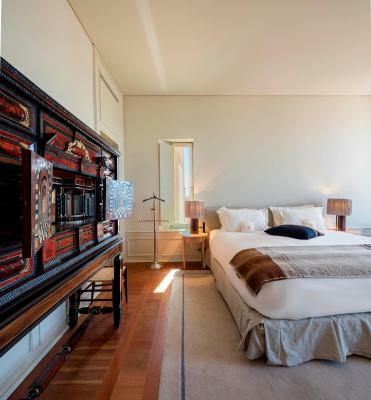 With a distinct and elegant décor, this suite features air conditioning and private bathroom. 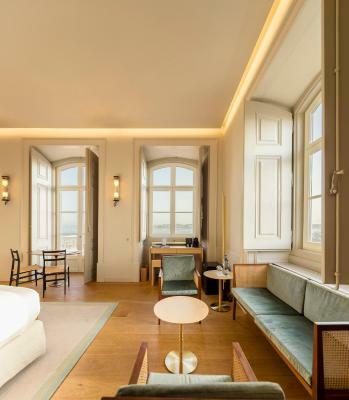 These large suites provide guests with views over the city or the Tagus River. Bathrobe and slippers are provided. 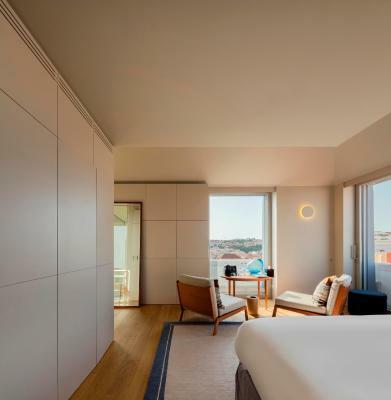 Large suite overlooking the Tagus River and the city. It also features a separate living area. This suite has air conditioning and soundproofing. Bathrobe and slippers are provided. 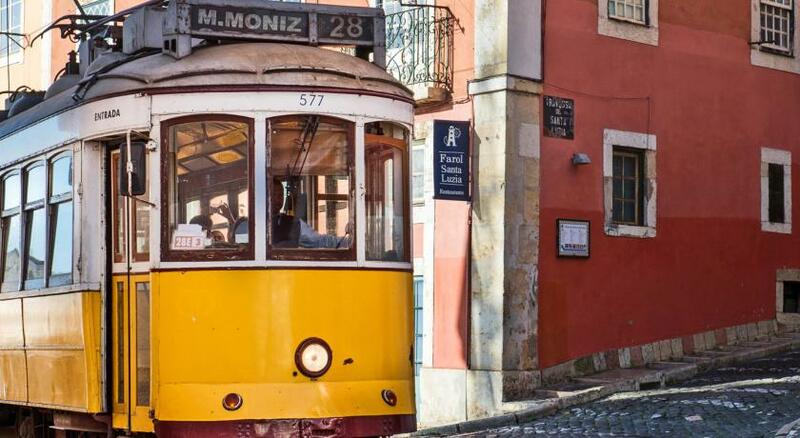 Hotel surroundings – This neighborhood is a great choice for travelers interested in ambiance, friendly locals and walking – Check location Excellent location – show map Guests loved walking around the neighborhood! 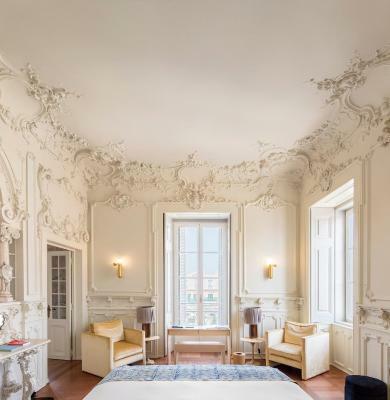 House Rules Verride Palácio Santa Catarina takes special requests – add in the next step! 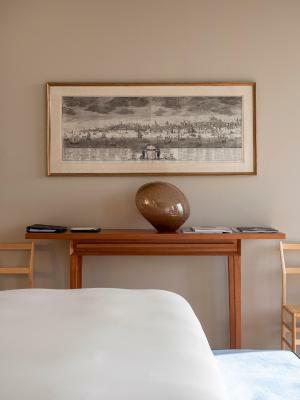 Any additional adults are charged EUR 65 per night for extra beds. Verride Palácio Santa Catarina accepts these cards and reserves the right to temporarily hold an amount prior to arrival. 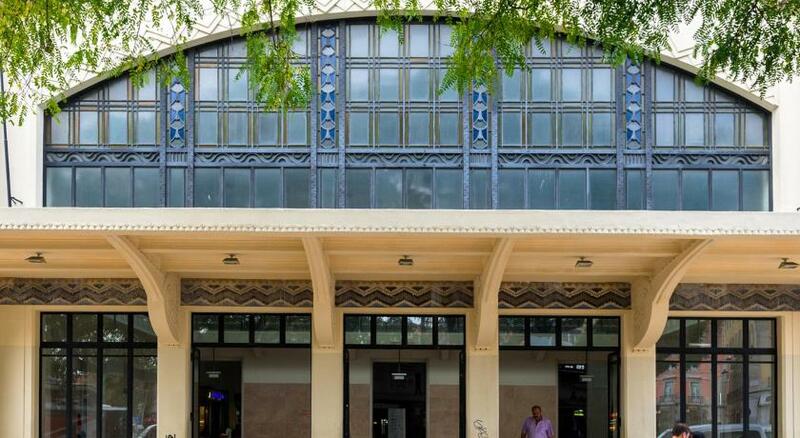 Please also note that there is limited automobile access to the property, due to its location in the historic center. Please contact the reception via the contacts in the booking confirmation to request the access code to the street. 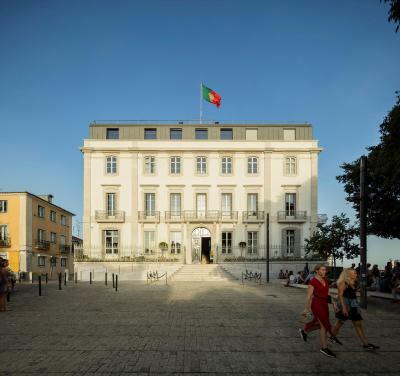 Please inform Verride Palácio Santa Catarina of your expected arrival time in advance. You can use the Special Requests box when booking, or contact the property directly using the contact details in your confirmation. We had some trouble with the air conditioning. During the night it was too hot in the room, but lowering the temperature didn't seem to work. Also, I wish there was some kind of a bluetooth sound system to be able to add some ambience to the rooms. No space To put the toiletries around the sink in the bathroom. Nowhere to hang pyjamas. Very nice small piece of luxury hidden in a very good location. This hotel is a gem! Amazing, caring staff!! Great food! Amazing hotel rooms with huge beds and great shower! we had booked a room with a view, however initially we were offered one on a lower floor - well appointed but not what we anticipated. The fantastic staff turned it round and a tip floor room was ours. Great customer service. Great panoramic views from room 3.3, & the rooftop pool where you can linger over breakfast in the sun. When we arrived we were shown to a basement room. This was changed when we complained. 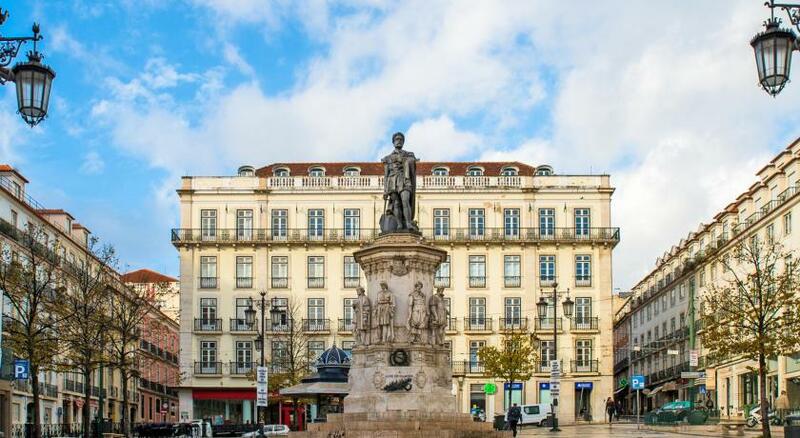 An exquisite hotel in the heart of Lisbon that exceeded any expectations I had of a luxury hotel. I was totally bowled over. In-house SUBA restaurant's lunch was divine. The breakfast served in their winter garden was spectacular. The sheets were as soft as silk and I didn't want my stay to end. 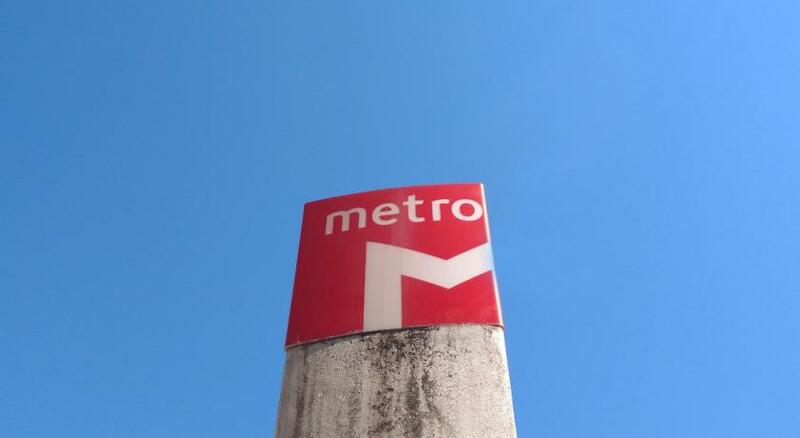 It's conveniently located near shops and tram stops. Just perfect! The breakfast is not good the logistics. We spend so much time to take a breakfast and we are not satisfied .